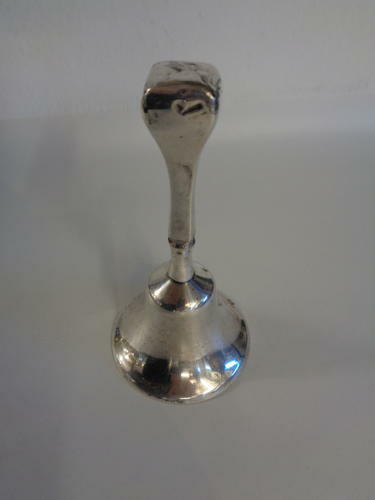 Charming Antique Silver Handled Attention Bell (Very Downton Abbey). Hallmarked Birmingham 1914 makers mark is rubbed. Bell is not Silver but has a lovely ring. Measures 11.25cms high & bell is 6cms in diameter.